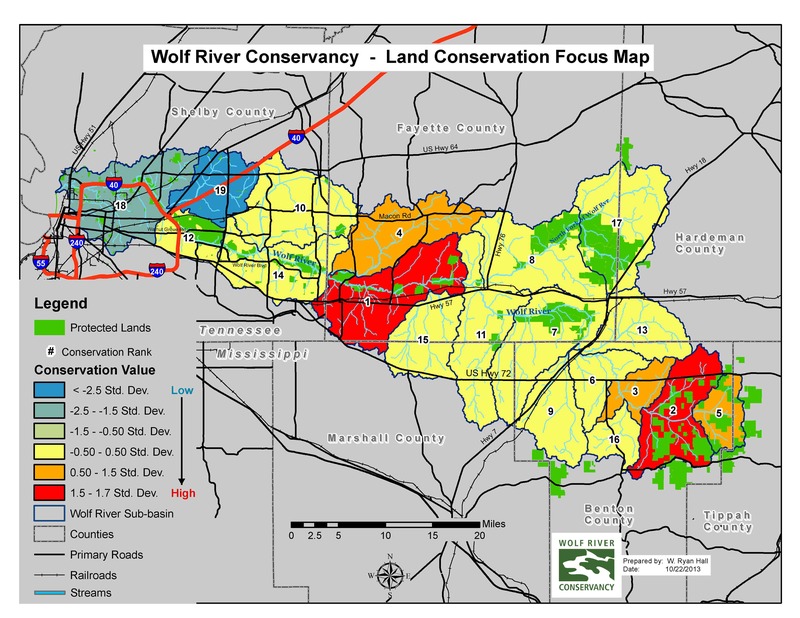 Historically, the Wolf River Conservancy has focused on saving the 100 year floodplain from being developed or converted to non-natural and destructive land uses, such as sand and gravel mines. This focus helped the Conservancy protect approximately 16,000 acres. In 2013, the Conservancy took another step forward and adopted a comprehensive land conservation plan. 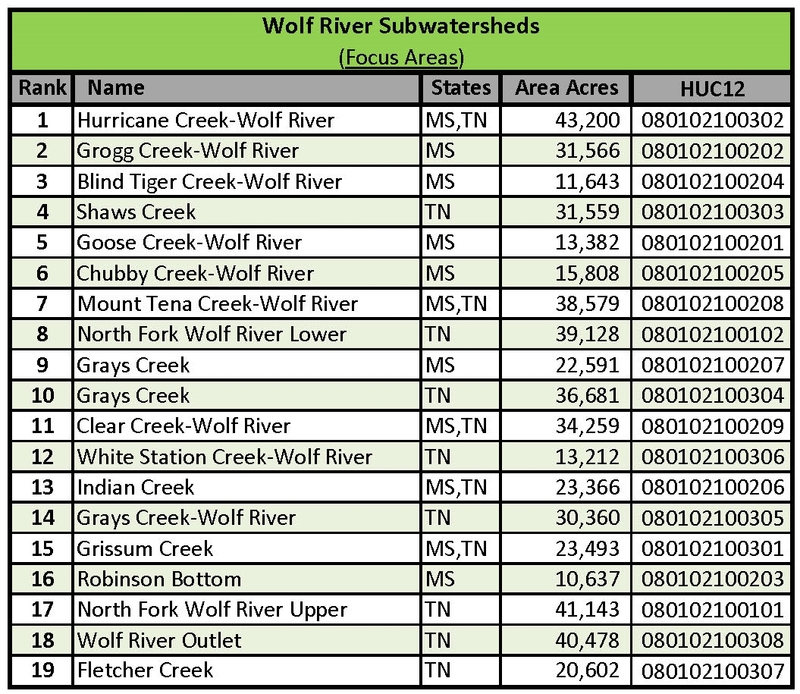 This plan assesses the entire Wolf River watershed for its conservation values based upon ten scientifically accepted environmental characteristics. The plan further defines connectivity, size, and shape of protected lands to better determine conservation prioritization. This adaptive plan acts as an active/iterative plan, which changes as more land is protected. Our strategic conservation plan yielded a conservation focus map that allows WRC to determine if properties are in a priority focus area. There are 19 sub-watersheds, or focus areas, each with unique characteristics that were ranked by their average conservation value. The map depicts these ranks within the context of the larger watershed, protected lands, and major roads. The number one focus area, known as Hurricane Creek Sub-watershed, is an area that is vulnerable to the eastward expansion of urban development. This top-ranked focus area contains high value aquatic and terrestrial habitats of state significance with a large contiguous forest and thousands of acres of aquifer recharge areas. Please follow this link to view a PDF of the WRC Conservation Focus Map.